One consequence of living so close together, is that our transport infrastructure is well developed. And that means UK and Europe delivery is often relatively easy, and can be fast too. Step aside one moment from complaints about hold-ups on the M25 motorway, and take a broader look. It’s true, our motorway network, plus massive engineering projects such as the Channel tunnel, ensure that the UK is well connected with mainland Europe. And within the UK, our motorway network ensures that few places are far away, or difficult to get to. So, if you want to deliver something in the UK or to another European country, what are your options? Thankfully, there are plenty of choices, with prices kept low simply because of the massive volume of goods that are regularly shipped around the country and continent. International courier networks are ideal for smaller consignments of one-off deliveries. The big companies have their own vans, trucks and regional sorting hubs, while some even have their own aircraft for overnight flights between major European destination cities. For larger consignments, of the size that would fit on one or more pallets, the UK has several overnight pallet services. Most promise to collect a pallet of goods from you one day, and deliver it pretty well anywhere in the UK, the next working day. These are great services, which are very flexible, and operate on a simple pricing tariff, so be sure to ask your logistics specialist how to make best use of them. Once again, it is the unit of a pallet that defines similar, on-demand UK and Europe delivery services. While the service may not be able to guarantee overnight delivery, there are generally clear routes and timescales that can give you confidence about when a consignment will arrive at its European destination. Consult a specialist in logistics, as they will know which transport companies specialise in particular countries around the Continent and can provide regular services to, say, provincial parts of France or Germany. If you have several pallets of goods or a larger consignment that need delivery to a single destination, then it may be worth looking at alternative shipping options. Groupage, which puts different consignments on the same truck from one hub to another, may be a more economical option. Groupage companies can juggle different consignments together, for example loading pallets of heavy, dense goods on a truck and then packing lighter, less dense goods in the airspace of the trailer. Alternatively, if your consignment needs to arrive in a hurry, or you have a consignment that takes up all the space in a single truck, it may be worth hiring a dedicated vehicle. Many smaller, van-based services offer overnight services between the UK and cities such as Paris, Brussels and Amsterdam – ideal for goods in a real hurry. 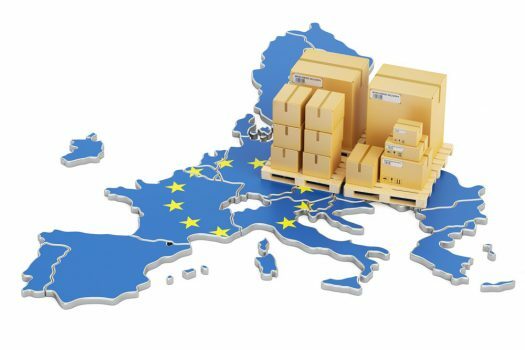 So if you are looking for a reliable Hertfordshire logistics or UK logistics company to look after your UK and Europe delivery , or just want to learn more about logistics or any of our courier and freight services, call Smart Directions and speak to one of our UK logistics service experts on 01442 507240 or contact us here.